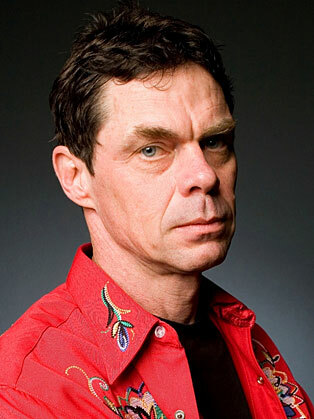 Rich Hall is an American comedian, writer and musician. Comedian and writer who was featured on SNL from 1984 to 1985 and who was a regular guest on Late Night with David Letterman. He has had four BBC TV series of his own including Rich Hall's Badly Funded Think Tank, Rich Hall's Fishing Show, and Rich Hall's Cattle Drive. He made his first appearance as a writer and performer in 1980 on the sketch comedy TV series Fridays. He then went on to appear in Not Necessarily the News (the American version of Not the Nine O’clock News) and Saturday Night Live (with the recurring character Robert Latta). He made further debuts on chat shows like the Late Show with David Letterman and Late Night with Conan O'Brien where he won two Emmy awards). In 1986, he had his own Showtime channel special, Vanishing America, which was turned into a book with the same name. According to one interview, by 1990 he had been in the comedy business for 11 years. In the same year, he hosted his own talk show on the Comedy Channel, entitled Rich Hall's Onion World. It was in these 1980s shows that he invented the term "sniglet", described as “any word that doesn’t appear in the dictionary, but should”. He collected and published five books of examples of sniglets. As well as this, it has now been widely considered that he was the inspiration for the character Moe Szyslak from The Simpsons. This was later confirmed by creator Matt Groening. Rich then began to gain momentum and popularity in the UK, where he now lives. This began with appearances in panel shows like QI, 8 Out Of 10 Cats, Never Mind the Buzzcocks and Have I Got News For You (in the latter, he had to perform in an edition following the September 11th 2001 attacks). He also gave a memorable performance on Top Gear, where he successfully managed to make a song about a Rover 25 car, much to the enjoyment of the audience and Jeremy Clarkson. His popularity has spread further, becoming a panellist on the Irish show Don't Feed The Gondolas and Australian shows like The Glass House and Spicks and Specks. He regularly appears at the Kilkenny Cat Laughs comedy festival and at the Melbourne International Comedy Festival. In 2004, in the Jack Dee series Live at the Apollo, he achieved recognition for his comments about Tom Cruise’s acting skills. In 2000, Rich won the Perrier Comedy Award at the Edinburgh Fringe alongside regular band The Black Friars. He played the character called Otis Lee Crenshaw, who is Rich’s uncle and a much-convicted country music singer. As Crenshaw, Rich has released several albums and performed a concert movie called ‘London, Not Tennessee’. In 2000 Rich also won the Time Out Comedy Award and an Adelaide Fringe Festival Award. In 2004, he published a book of memoirs, entitled Otis Lee Crenshaw: I Blame Society, and has recently finished a screenplay for a film based on the book, written for the director Mel Smith. In 2006 Rich wrote and acted in a play called Levelland at the Edinburgh Festival. He has had three BBC series, Rich Hall's Badly Funded Think Tank, Rich Hall's Fishing Show in 2003, and Rich Hall's Cattle Drive in 2006, as well as a one off programme about the 2004 American Presidential Elections, Rich Hall's Election Special.